PFS Insurance Group will be hosting a presentation on Cyber Liability Business Risks at their offices in Johnstown, Colorado on January 31st. 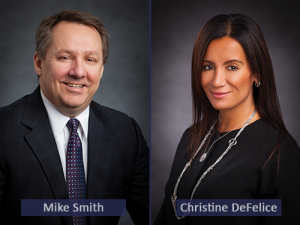 Mike Smith, CEO of Axis Insurance Services, LLC and Christine DeFelice, Professional Liability Broker for PL Risk Advisors, Inc will be presenting. Their presentation will focus on Cyber Liability Risks affecting today’s businesses and they will be sharing their insights on Cyber Liability, the trends in the industry, business concerns as well as their experiences on how to mitigate future cyber risk and claims. PFS Insurance Group, through the professionals at PL Risk Advisors, are offering Cyber Security seminars as a way to better educate clients on understanding their risks, how to best manage this exposure, and the proper way to insure the exposure. PFS Insurance is a locally owned independent insurance agency. PFS Insurance Group, emerged from the merger of several trusted, established insurance agencies with strong roots in their communities. Their dedication to hometown service over the years still drives our customer relationships today. PFS Insurance Group professionals will provide you with convenient and individualized service for everything you need to personal and business insurance. PL Risk is a leading wholesale insurance brokerage covering the professional liability market. Our team of seasoned professionals has the depth and breadth of knowledge to help our agency partners secure the best quality coverage for their clients. We believe in building solid relationships with our insurance carriers so that we can negotiate the best rates and offer agents a diverse selection of coverage options. Our unique ability to understand the complexity of business risks allows us to build customized programs to specifically address these exposures. Furthermore, our staff has the experience and knowledge required to help agents stem losses through effective risk management and proper claims analysis.